In a 12-year career, the grey gelding Fire Watch won 15 national titles, including four national championships (U.S., Canada and Youth), three national reserve championships, and eight top tens. 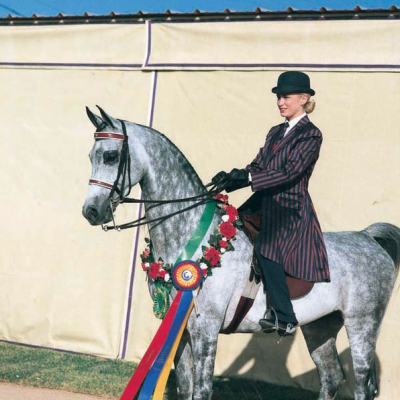 Four came under the ownership of Cedar Ridge Arabians, including his 1991 U.S. National Championship in English Pleasure AOTR, which he won in a class of 42 contenders. He also accounted for two Canadian National Reserve Championships in English Pleasure Amateur.